Friendly eye care for the whole family! 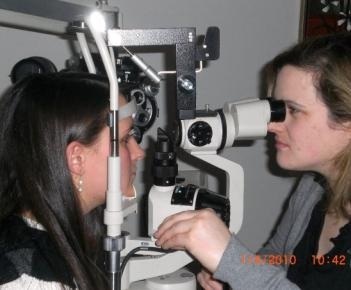 If you are looking for a practice that truly cares about you and your family's eyes, you have come to the right place. The doctor takes pride in the personal attention she gives to each and every one of her patients. Come see for yourself! ***NOTE*** If you have an eye emergency or any problems with your vision that you feel may be serious and need help right away, please visit your nearest urgent care center or emergency room ASAP.